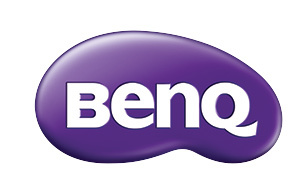 Whether you're catching up on the latest show on the Internet or viewing documents, the BenQ GL2030 LED monitor is the perfect choice for you in style! 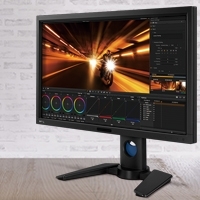 Featuring a dynamic ratio of 12:1M, Senseye Human Vision Technology, 5ms response time and DVI connector, this 20"W 16:9 LED monitor delivers every image detail with the best viewing quality. A style of mixing playfulness and warmth is our answer to the conventional rigid lines and cold feel of most hi-tech monitors. The preeminent touch on this creative design is the deft interplay of glossy and matte finishes on different areas. Its overall glazed look on front-facing flat surface is contrasted with textured bubble patterns along the lower trim and in the back. It offers a simple curvy appearance that looks vibrant in any setting. The GL2030 come with an ultra-high dynamic contrast ratio of 12,000,000:1 to add color depth and definition to darkened and complex visuals, so that everything you see – from the brightest white to the darkest black – is perfectly rendered to deliver the most incredible picture performance. 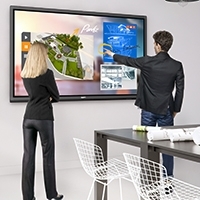 The GL2030 have passed Windows 7 certification and is fully compatible with Windows 7 color systems. 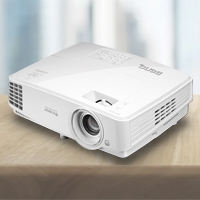 Plug in the GL2030 to your computer, and Windows 7 will recognize it instantly, making setup and connection effortless.